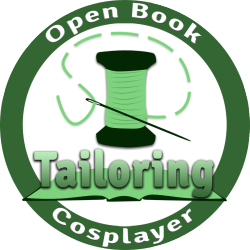 If you’ve been following for a while, you know that I’ve been talking about getting an Etsy shop up and running for several months now. 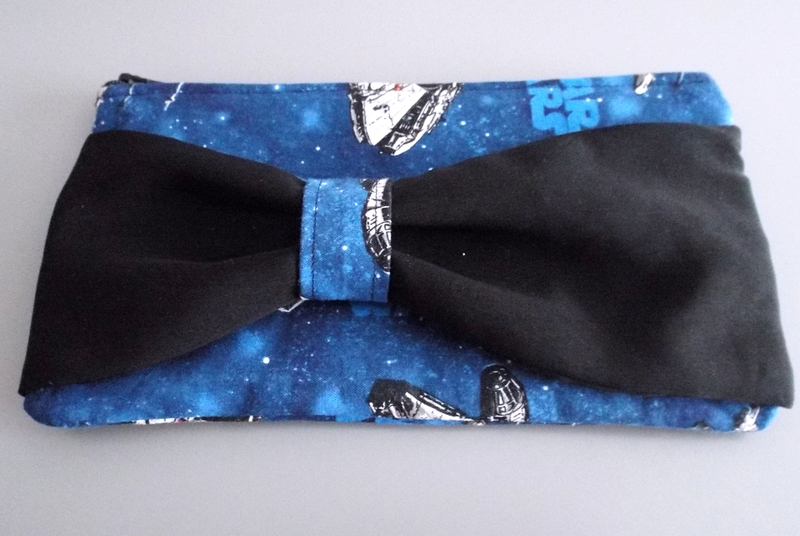 So over the holiday weekend, I sat down and made an initial run of geeky themed bow clutches. When I initially set out to open a shop, I had a hard time narrowing down what I wanted to focus on. Pillows and handbags are great, but there are lots of those already available on Etsy. What I hadn’t seen before were nerd-friendly clutches quite like the ones I’ve made (based on the Elm Street Life tutorial). 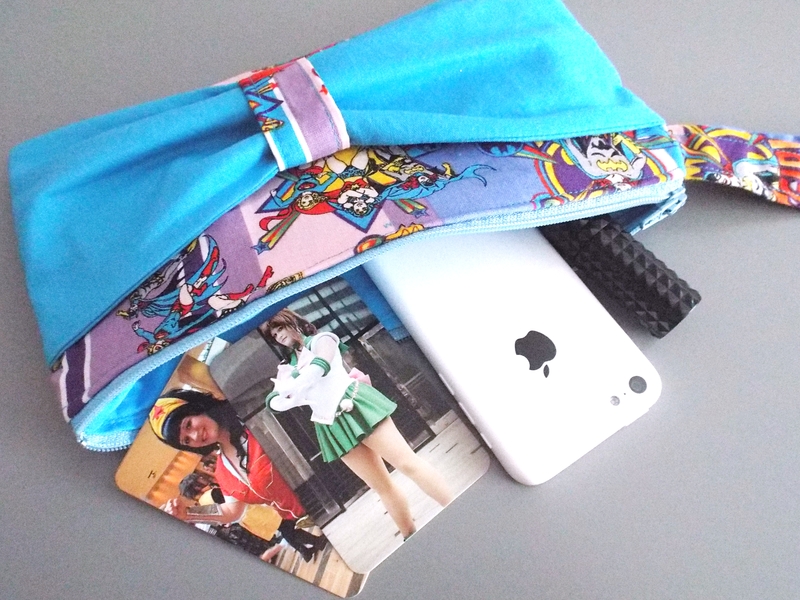 With a little color blocking, these clutches go from basic zipper bag to a super cute clutch ready for the con floor. I made my first set of bow clutches back in 2013 out of some scrap fabric. I gave one to my mom as a gift and kept one for myself. My mom and I both still use our initial clutches on a regular basis. Mine is most often used as a make-up bag, but I also use it as my con bag while in costume. It’s just big enough to hold my contact cards, phone, money, and touch-up make-up. Plus, it’s small enough to be discreet and easy to hide when I pose for photos. 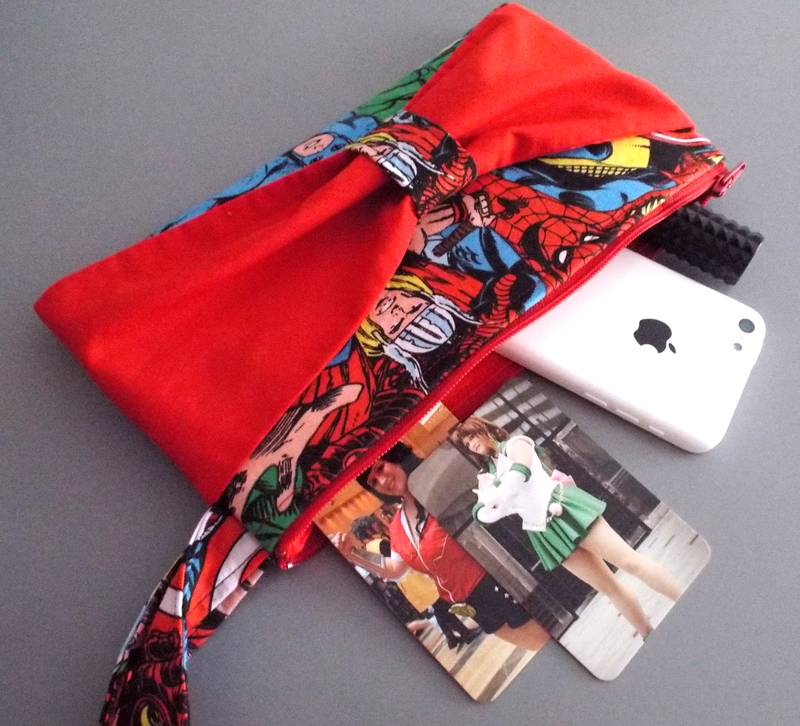 I’ve made several similar clutches out of scrap costume fabric when I want an exact match! 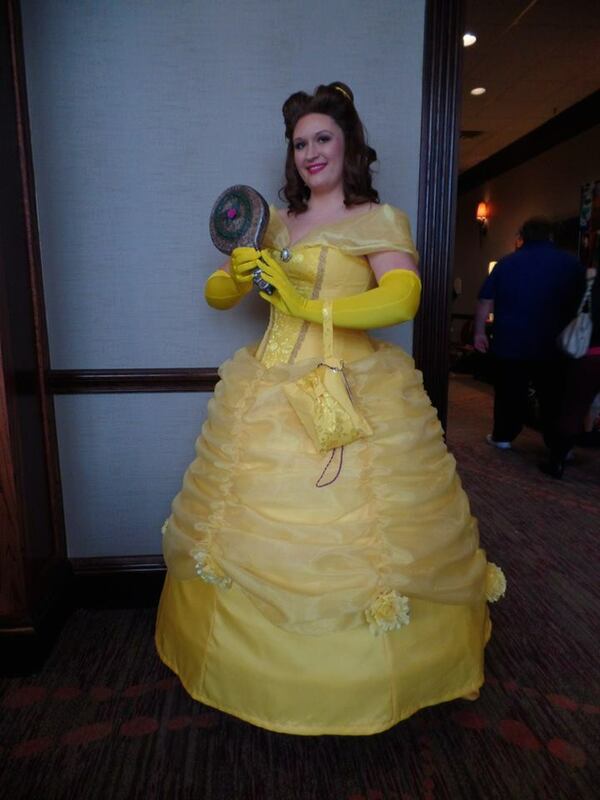 My Belle clutch was made of leftover satin and brocade so I wouldn’t have to constantly worry about passing it off to a friend or setting it down when posing. Photo by Gone Catawampus. My favorite clutches from this initial run are the Star Wars ones, both the black and grey bows. The black fabric is a mystery poly blend, and the grey is a cotton sateen. I hope you guys like these! I have some ideas for Moonie themed ones in the near future, and a few people have already requested Dr. Who. If you have suggestions or requests for future clutches, let me know! I’m running a sale on everything in my store right now (which also includes some of my older costumes). 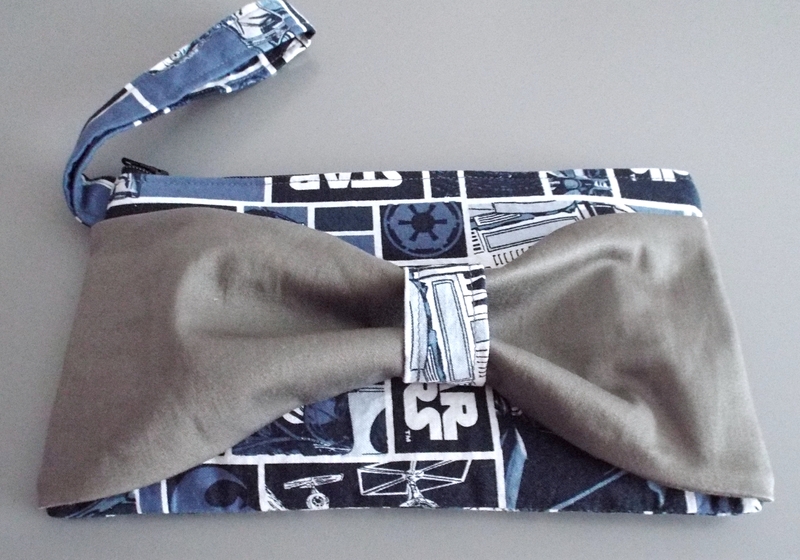 Use the offer code GEEKYSEWS10 by 7/12/15 for 10% off of your purchase. How do you store your con essentials while in costume? These are super cute! When I wore my USO Hawkeye, I was able to find the perfect little purple clutch to carry my stuff! Thanks! Finding matching bags is always fantastic. These are too cute! Congrats on the Etsy shop! Thanks, Jessica! I really like that one too. I need to find more of that print! Congratulations, and wishing you the best of luck!